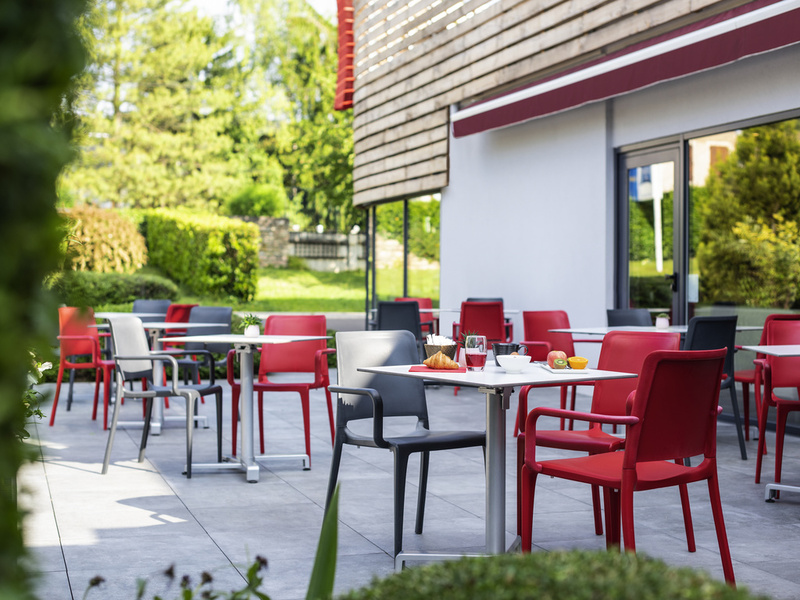 Just 547 yards (500 m) from the SNCF train station and 12.4 miles (20 km) from the airport, the ibis Nuits St Georges hotel is located 220 yards (200 m) from the old town. The hotel boasts 55 air-conditioned rooms with WIFI, including 3 adapted for people with reduced mobility. In addition, the "Le Bistrot" restaurant, a bar, 24-hour snack service, free car park and meeting room are at your disposal. Nuits-St-Georges is on the Burgundy wine route, 9.3 miles (15 km) from the historic center of Beaune. Near center of old town (220 yards).